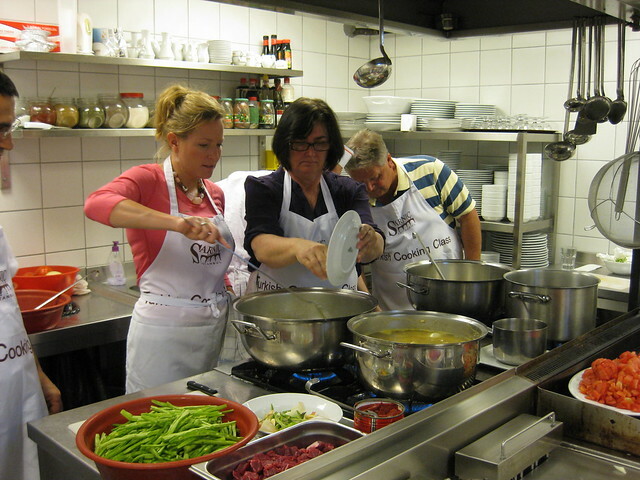 Turkish Flavours provides a Turkish cooking class in a Turkish home setting. Selin Rozanes's 1930's home is located in the heart of Nisantasi, one of the most elegant neighborhoods where Orhan Pamuk grew up. You get to learn how to cook 6-7 different Turkish dishes during the class, and learn about the history of Turkish cooking from Selin. Click here for details. As an alternative to Cooking Ala Turca, I can also suggest Istanbul Culinary Institute. You can join one of their scheduled classes or ask to have a private class scheduled to your availability. I found out about Datli Maya restaurant, in Cihangir, with the help of my expat friends. They learned it from Ansel & Yigal's blog, Istanbuleats. It became one of my best restaurants right away. I just learned from Ansel that they started offering cooking classes. Here is their facebook page, where they post their cooking classes.